Be Alarmed Security has been a family run business since 1977 and was previously known as Epping and Northern Suburbs Electronics. Servicing the greater Northern region of Melbourne with service provided to Chubb Security, with clients such as Ford Motor Company, as well as the Victorian State Correctional Centres. Our experience as a trusted company goes as far back as having done security installation for the once Prime Minister of Australia; the Honorable Mr. Malcolm Fraser and his wife Tamie while working as a technician for Wormald Security Pty Ltd. Other clients included the Reserve Bank of Australia, NAB, CBA, State Bank of Victoria, Armaguard and AMP St. James, just to name a few. Starting off as a one man operator, Peter showed pride with work ethic and workmanship. Peter was generous and always available to his customers who enjoyed spending time with him. When he opened his first workshop in Epping in 1986, you would find him laughing and having a joke over a T.V. repair for a customer who would walk in off the street. His character is such that he wouldn’t turn anyone away. There were even times when the accepted payment would be a bag of veggies from the client’s garden! Later on 1993 saw the grand opening of the workshop in Salicki Ave in Epping’s Business district where Peter operated the business for 10 years before making the decision to form the company that we know today as Be Alarmed Security Pty Ltd. With technology moving as fast as it did the transition from a service based business grew into the area of electronic security which is the main area of focus for the business today. Moving into the 21st Century Be Alarmed Security have a mission to protect your property as well as your assets with state of the art electronic security products. Giving you the peace of mind you deserve for your hard working efforts. Knowing that every premises has it’s own requirements, we endeavor to customise a system to suit your needs. Talk to us today for a complete FREE consultation to accommodate your security needs. Our mission as a company is to provide up to date security solutions. Allowing our much valued clients peace of mind. We aim to live up to our client’s expectations by over delivering on all our communication. We take pride in our workmanship whilst showing interest in our client and their needs by offering ongoing care. Our approach is personal, with trust being at the very top of our list of values. There are no strict contracts to worry about. We value the relationship as being long term which clients appreciate and respect. We aim to provide our client’s needs in the most efficient way possible. Ensuring A1 service at all times along with honesty and integrity. We pride ourselves on a long history of happy clients through word of mouth referrals. It is a sad fact of life that criminal activity is on the rise. We, as a company will endeavour to provide you with the right information for you to protect what’s yours. 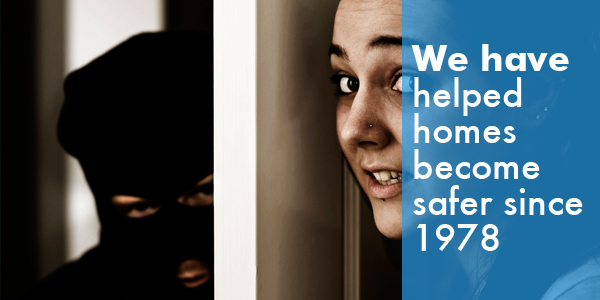 98% of our business is providing security needs to people who have already experienced a break in. We do not want that to happen to YOU! As part of our service we will work with you to create a solution based on your needs and budget. Talk to us today for a complete FREE consultation to accommodate your security needs.